Aliport Commercial were first contacted in February 2015 about this project. 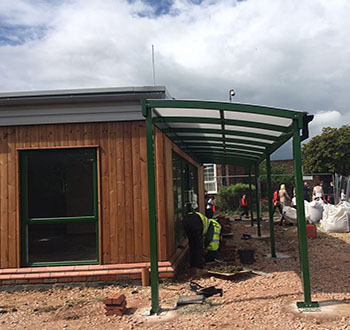 Tanners Brook were constructing an extension to the existing building and required a Sheltered Outdoor Play Area to be attached to the new extension to provide extra space and shelter. Aliport Commercial commenced works in May 2016 and over a 2 day duration installed the canopy. 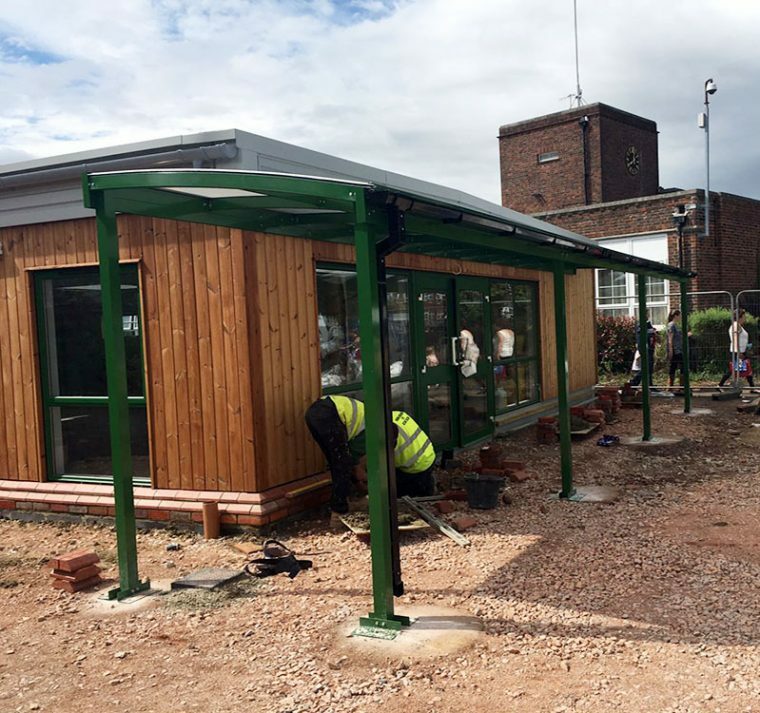 The Canopy has been powder-coated Green to match the metal work within the new extension. The installation was completed successfully and matches the new extension creating a fantastic looking new addition. Half Curve Canopies are perfect for creating modern and stylish canopies for additional space and shelter. . .